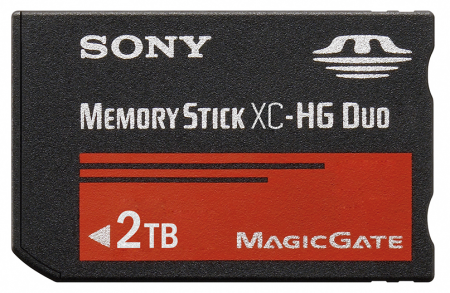 Sony has finalized the specifications for 2 TB memory sticks, according to a leaked document published on SonyInsider. A new page on Sony’s oss-formats.org website has listed all of the details for the Memory Stick XC, which is really exciting especially considering that the form factor for these new flash cards are (on paper) the same as pre-existing memory sticks, which means that these high capacity juggernauts are most likely backwards compatible. Science fiction fans readily recall storage devices like the memory diamonds from Charles Stross' 2004 novel Iron Sunrise and the Schrön Loop from Dan Simmons 1989 novel Hyperion.